The world continues to go through tumultuous times, but because of you, Symphony Nova Scotia has a response. These two quotes have stayed with me. Together, they express my belief that individuals are at the root of making things possible, and how collectively we produce a product that touches each one of us. As a musician, an audience member, a fellow donor, and as CEO of Symphony Nova Scotia, I understand the truth of these statements from all four perspectives. As a donor, you bring inspiring artists to our community and support our local musicians, taking pride in the knowledge that your donations are vital to making that possible. Without you, concerts would not be viable; without you, the hall would be empty; without you, there would only be silence. 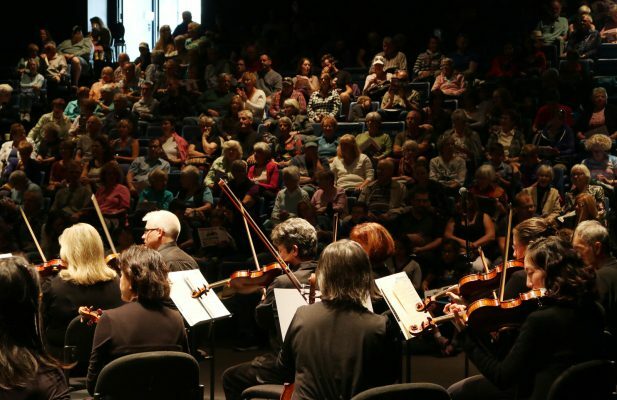 In the orchestra, musicians feel the response and impact of their music from the audience, not just from their applause, but from their faces and the energy they exude in sharing the moments. Subscribers in the audience feel the emotion and are rejuvenated by the beauty of what they hear. As CEO, I strive to find the pieces and works that will fulfill each person, knowing that each human on stage, in the audience, and behind the scenes contributes and takes away a different experience – yet we have all helped create and share the same moments. P.S. As a donor and Legacy Circle member, I am choosing to support the beauty of the human spirit and the ability of the performing arts to convey truth and meaning for today and in the future, whatever that may bring. I hope you will join me by making your donation now.